Turkey is a transcontinental nation which acts as a bridge between Asia and Europe, with 97% of the territories being in Asia. Eight countries border Turkey- Bulgaria and Greece on the northwest, Iran, the Azerbaijan and Armenia on the east, Syria, and Iraq to the south, and Georgia to the northeast. Turkey was amongst the top four nations to apply for Schengen visa in 2015. While close to one million applications were received for short stay visa, the rejection rate was only 3.4%. Whether you are a Turkey passport holder or a Turkey resident or have Turkey visa, you need to know certain requirements to apply for a Schengen visa from Turkey. 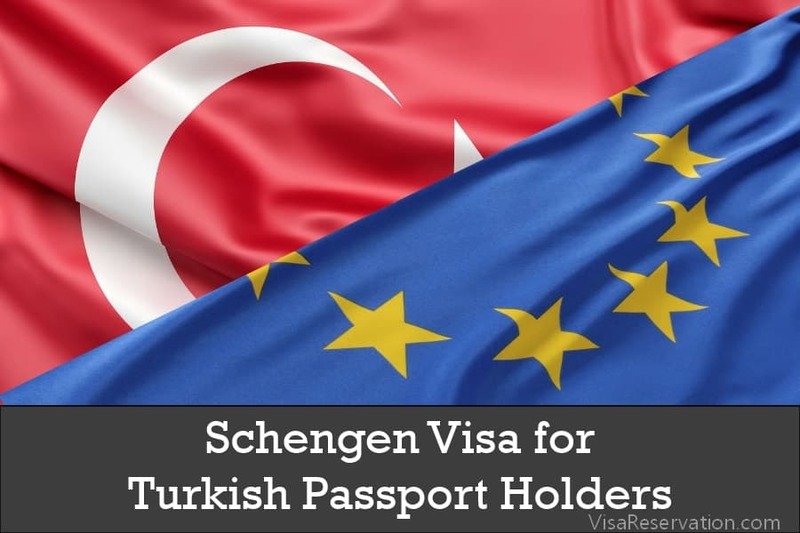 In this article learn more about how to apply for a Schengen Visa from Turkey, Schengen Visa Application Requirements, Fees and Guidelines, List of Schengen Embassies in Turkey. 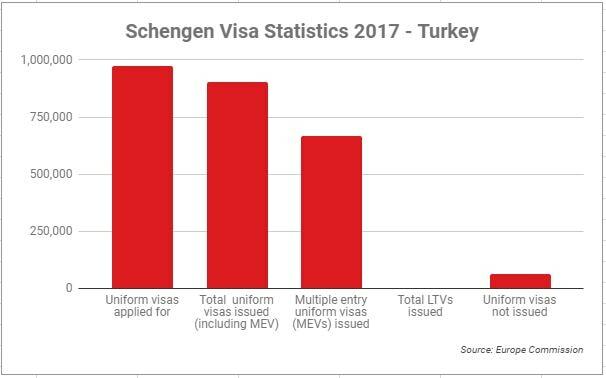 The number of Schengen visa applicants in 2017 from Turkey was 971,710 with a rejection rate of 6.5%. About 666,043 multiple-entry visas were issued to applicants from Turkey. When will visa-free travel be possible? 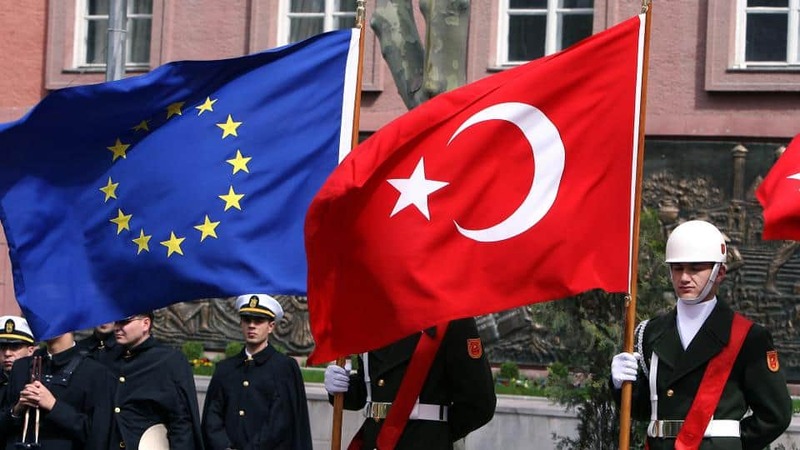 Turkey applied for full membership to the European Economic Community (EEC) in 1987 and discussions are ongoing with respect to visa-free travel to Schengen countries. These negotiations have been ongoing since 2016. Turkish officials are hopeful that the visa-free travel will become a reality in 2018. In February of 2018, a government spokesperson announced that all the 72 requirements needed for visa-free travel to Schengen member countries had been fulfilled by Turkey. It was also announced that the relevant documents had been submitted to the EU authorities. The European Union Affairs Minister in Turkey as well announced in a press conference that all of the requirements for visa-free travel had been met. In May of 2018, a European Union delegation visited Ankara to hold further talks and to review the working plan submitted by Turkey for visa-free travel. 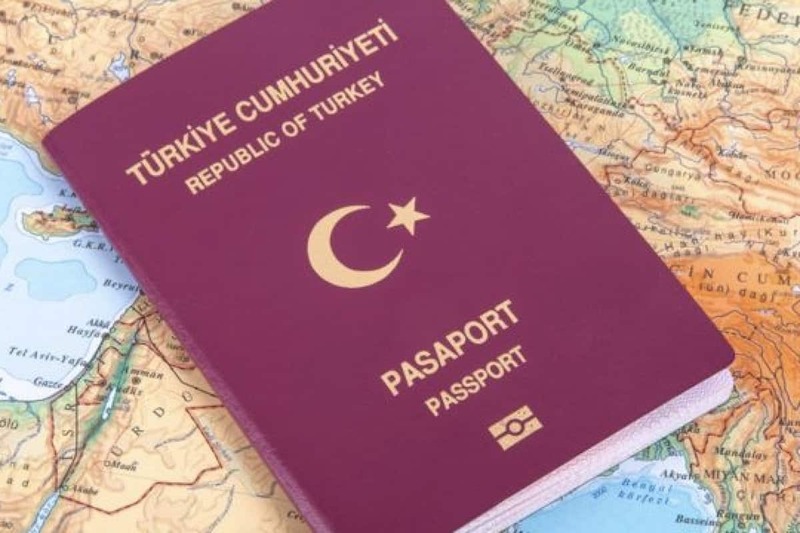 Until all the issues are resolved, and a decision is reached, Turkish passport holders need a Schengen visa to travel to any of the member countries. Which are the Schengen member countries? There are 26 countries in the Schengen area with Austria, Denmark, Norway, Greece, Germany, Italy, France, Spain, Sweden, Czech Republic, and Iceland being some of them. With a valid Schengen visa, you can visit any of the 26 countries multiple times for the duration of the multiple-entry visa which is issued with 90 days validity. Although most of the European Union countries are part of the Schengen area, United Kingdom, Croatia, Bulgaria, Ireland, Romania, and Cyprus are not part of Schengen area. The four countries of Norway, Iceland, Liechtenstein and Switzerland, although not part of the European Union, are included in the Schengen area. Airport transit visa: If you are planning to catch a connecting flight at one of the Schengen member country airports, you may need an airport transit visa. Short-stay visa: This visa is given for a period of 90 days and is commonly used by tourists and those who need to visit for a short duration. Long-stay visa: For those who need to stay beyond 90 days, there is a long-stay visa. For children who are below the age of six and for students, postgraduates, and teachers traveling for educational purposes, there are no visa fees. There are also no visa fees for non-profit organization representatives who are less than 25 years of age attending conferences, seminars or cultural and sports events. There are additional fees to be paid if you are applying through VFS that has to be paid in cash. Where can I apply for Schengen visa? VFS Global is the authorized Schengen visa processing centre. There is a VFS centre in almost all major cities of Turkey. Each of the centres has designated counter for each of the 26 member countries. Alternately, you can also directly apply in any of the 26 countries directly. Which country is the main destination of your travel? Or Where will you spend most of the days of your trip? If you are planning to visit Germany for seven days, France for three days and Greece for two days, you will need to approach the German counter. Where will your flight or ship land/arrive first? If you are spending an equal number of days in some member countries during your trip, you can apply for a visa based on where your flight lands first. Although you will apply in the relevant counter, you are free to travel anywhere across the Schengen member countries with the valid visa in the specified time frame. Passport: You must hold a valid passport that will not expire for a minimum of three months from the date of application for the visa. The passport should have a minimum of two pages that are blank. It is important to attach old passports if you have any. Photographs: Two photographs that meet the specific visa requirements. Covering letter: Applicants should provide a covering letter explaining the reason behind the visit, the detailed travel itinerary and list of documents submitted. Flight and accommodation details: Confirmed flight reservations for both onward and return journey should be provided. You can also book the flights without actually purchasing the tickets to avoid the losses due to visa cancellation. Proof of accommodation in terms of hotel reservation in each of the countries you are planning to visit should also be included. If you are planning to stay with relatives or friends, include the relevant details. Your hosts should provide a formal invitation. Those traveling on business should include the employer’s letter with relevant addresses and contact details of the company. Sponsorship: If you intend to cover all your travel and stay expenses, you must provide proof of your financial status with bank statements. If your relative or friend is sponsoring your trip, they have to attach the formal documents issued by the relevant country of residence. If your company is sponsoring your visit, documents should be attached providing proof of the company’s sponsorship, contact details, and the purpose of the business visit. Medical insurance: It is important to also buy medical insurance for €30,000 or more. If you are traveling in a group, many websites or travel companies can offer group insurance discounts. Proof of financial sufficiency: If you are bearing all your expenses, include the latest bank statements of the last three months. Obtain the stamp and sign from the bank’s authorized signatory. If your relatives or parents are sponsoring your trip, their bank statements with the signatures and stamp should be included. If you are employed, include the employment contract and the salary slips for the last four months. Along with this, the last six months bank statement and leave permission from the employer are also required. Attach the Income Tax Return (ITR) form or tax deducted at source certification. For those who are self-employed, business license, income tax returns, and the company’s bank statements are required. At times, additional documents may be required including PAN card, marriage certificate, a government-issued ID card, travel insurance, and other travel-related documents. Keeping all of these documents ready before attending the interview is important. Students who wish to study in one of the Schengen member countries have to apply for a visa as well as a residence permit in the relevant country. After the visa is obtained, the residency permit has to be applied for in the country where the university or college is located. The residency permit allows the student to freely travel within the Schengen area with no requirement of additional documents. Who is sponsoring your visit? How long you have been married and what does your spouse do? Do you have children and if yes, what are their ages and what are they doing? How can you guarantee that you will return to your country? Are you visiting relatives in Schengen area? How are you planning to travel within the Schengen area? How long have you been with your current employer and what is your designation? Can you show your company’s returns or bank statements? Can you give more details about your business visit? How long does the Schengen visa processing take? The processing takes up to 48 hours generally. In some countries or cases, it can take up to 21 days to process the visa. Solution: Be transparent and honest about yourself. Tell the embassy the truth and give reasons why you are in this current position. With visa applications, honesty really is the best policy. Solution: Always write a cover letter/sponsorship letter stating your reason for the visit. If your travel is sponsored by someone staying in a Schengen country, ask them to send a signed and dated sponsorship letter with the list of documents listed above in the article. Solution: Schengen travel rules specify that all travelers must mandatorily get insured for an amount of €30,000 to be eligible for the visa. Contact an insurance agent and get Schengen travel and medical insurance coverage. Submit the document as proof. Solution: Create an exhaustive travel itinerary with complete details about dates of travel, dates of hotel check-in and check-out, locations of Airbnb homes and timings of the visit for tourist spots. Attach copies of the tickets booked and submit it to the embassy. Solution: Any forgery in signature or stamping of documents is illegal in all countries, and you can be blacklisted and barred from visiting the Schengen area. Never do this and get genuine stamps and signatures. Solution: All passports must be valid for up to 3 months after the visa application process. Anything less will result in the rejection of visa application. As a rule, apply for a re-issue of your passport when you have a year validity pending. Solution: Any tear or tampering with the passport is a punishable offense and can lead to you being blacklisted. If you notice any problem with the passport, please re-apply for a new one at the passport office at the earliest.